Leaders of the Western World came to the defense of the French satirical magazine Charlie Hebdo in early 2015, after radical Islamists gunned down the staff in their offices. 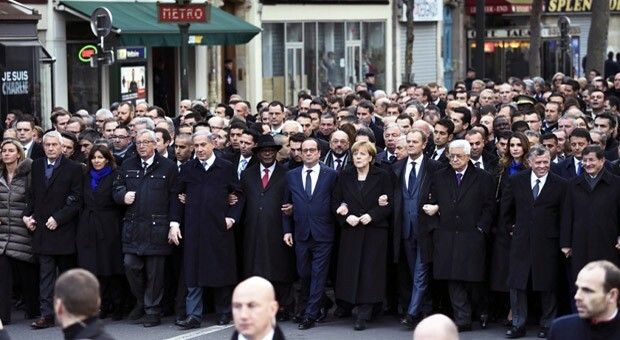 Those leaders stood in solidarity with the French in the name of freedom of speech. Yet those same leaders have not rallied to the side of Israel while Islamic radicals murder and attempt to murder Israelis for an even more basic principle. An act of active provocation is one in which the action itself is specifically designed to provoke and upset an individual or group. The person taking the action does not have any benefit from the activity, other than the enjoyment of upsetting someone. For example, when Pamela Geller held a “Draw Mohammed” contest in Texas in May 2015, the event was designed to upset Muslims. The action of portraying the Islamic prophet in physical form is considered highly insulting to many Muslims, and several people came to the event with the goal of killing participants for the sacrilegious act. While people came out in defense of Geller for exercising her right of free speech, few would argue that Geller had any personal benefit from her actions other than getting satisfaction in hurting the feelings of Muslims. Reactive provocation is significantly different from active provocation. Such activity has personal benefit and there is no intention of malice. For example, a person may eat a turkey sandwich which they truly enjoy, even though another person may be a vegetarian and find the action upsetting. Everyone has sensitivities. How far could a society extend itself to ban certain “normal” activities because some people may be offended by the actions? Would a government ban gay people from holding hands in public if it upsets the values of some religious people? Would it ban all meat because it upsets vegetarians? It would be impossible to navigate such a world in which anyone could object and block any action. America was founded on the principle of the “pursuit of happiness” and has defended such right in cases of active provocation such as Pamela Geller in the US and Charlie Hebdo abroad. How could it do less for situations of reactive provocations? Various western societies offer a wide spectrum of freedoms including, speech, assembly and religion meant to cover elements of “life, liberty and the pursuit of happiness.” Western culture is designed to offer space for different people to live and interact, even if various belief systems are in conflict. The expectation is for tolerance of different and possibly offending views. The raison d’etre of Charlie Hebdo is to offend. It’s cartoons are examples of active provocation whereby people deliberately upset others. While the comedic value of some of the pieces could be debated, the principle of freedom of speech is core to western society and fiercely protected. While writing a magazine is not a common activity, free speech is a daily activity of everyone, so the leaders of western countries stood together to defend active provocation and all forms of free speech. 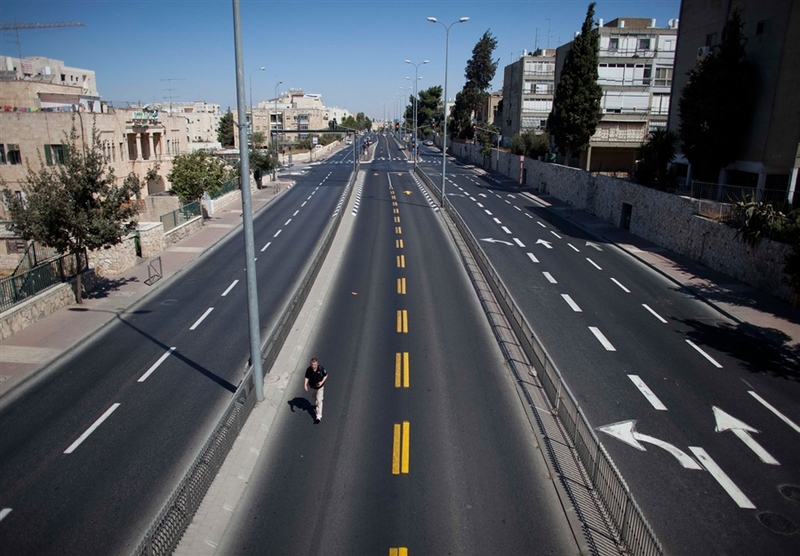 In Israel, people also attempt to live with ordinary freedoms. Like other democracies, they include freedom of speech, press, religion and assembly. But such freedoms sometimes offend radical Muslims. The Temple Mount has maintained established visiting hours for Jews and non-Jews alike for any decades. People of all faiths visit the site. They do so as a natural act of visiting an incredible tourist site or because of religious conviction. They do not visit as a pretext of causing offense to anyone. If there are some Islamic extremists who are upset that Jews visit, that is a reaction based on that person’s anti-Semitic biases, an example of reactive provocation. Muslims have become more worried about Jewish visitation to the Temple Mount which they consider holy as well. The number of Jews visiting the Temple Mount doubled over the past five years to about 11,000 in 2014. It is still a paltry sum compared to the estimated 4 million Muslims who come to the site each year. However, fears of the growing Jewish presence has made Muslims begin to attack Jews throughout Israel. So why is the western world so cavalier about the carnage in Israel from Islamic radicals, while shaken to its core for the Hebdo killings? Is freedom of religion and access a lesser democratic value than speech? Is France considered more western than Israel? Perhaps some believe that to be true. It is also a fact that Europe and America do not have shrines holy to Islam, so the situation of the al Aqsa mosque is really a narrow problem for Israel to handle. Western ambivalence may not be so much a function of values as it is proximity. How embarrassing that the narrow scope of the champions of democracy shows that they are less interested with values than personal interests. The world should loudly condemn Islamic terrorism and support freedoms which are enshrined in Israeli law and democratic ideals. This entry was posted in Israel, Jews, Middle East Analysis, USA and tagged Charlie Hebdo, democracy, Temple Mount, terrorism by First.One.Through. Bookmark the permalink.